Each year Father’s Day creeps up on us. With Mother’s Day and Memorial day in the books and thoughts turned towards Fourth of July, Father’s Day thoughts often do not dawn until the weekend of the holiday. Plan something special for the fathers in your church community to thank them for the important task they have to be leaders in their homes and examples to their children. Photobooth areas are a great way to capture a special memory or send a special greeting to your father or a father figure in your life. These photobooth pictures are from Mother’s Day, but could easily be altered to feature a fishing pole, football goal, or an array of comic books. What are ways that your family or church shows appreciation to the father figures in your life? 1. Cover the top and bottom with fun scrapbook paper. 2. Glue to a ruler or a piece of wood. Hang lost socks, art work or notes. 3. Make a caterpillar using small pom poms glued on the top. Put wiggle eyes on the end. Use pipe cleaner for antennas. 4. Use as a photograph holder. 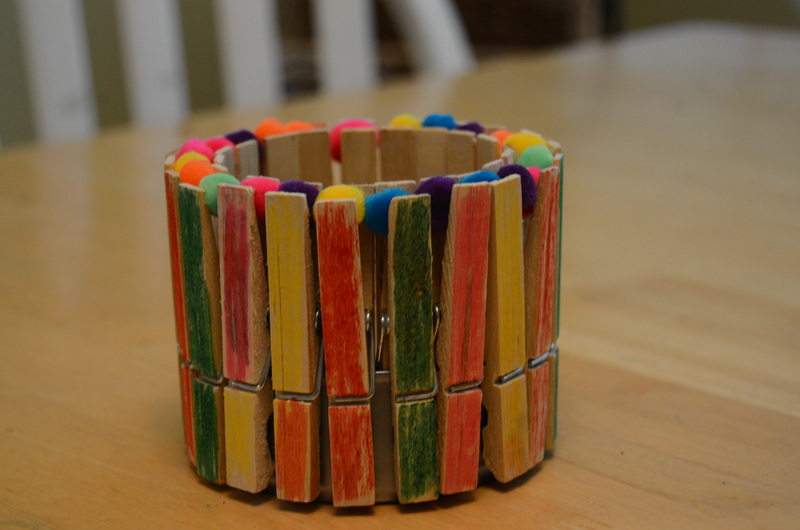 Decorate the clothespin. Clip a photo with it. Stand up on the other end of the photo. 5. Soak in Rit dye to make colored clothespins to match a room or decorations. 6. Make butterflies. Fold cupcake liners in half. Cinch together and clip the clothespin over them. Add googly eyes. Or use coffee filters and color or paint them before folding. 7. Play clothespin tag. Everyone places a clothespin on their shirt. Try to grab the clothespins off other people’s shirts. Person with most clothespins wins. 8. 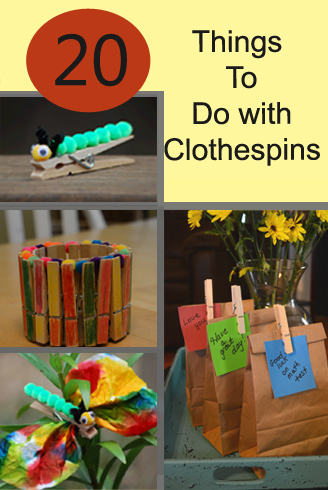 Make pinwheels and attach to the end of the clothespin. Attach to anything for decoration. 9. Attach to a cleaned out tuna can to make a planter. Decorate the clothespins before attaching. 10. Play a game. Drop the clothespins in a wide mouthed jar. 11. Attach gift tags to gifts with a clothespin. 12. 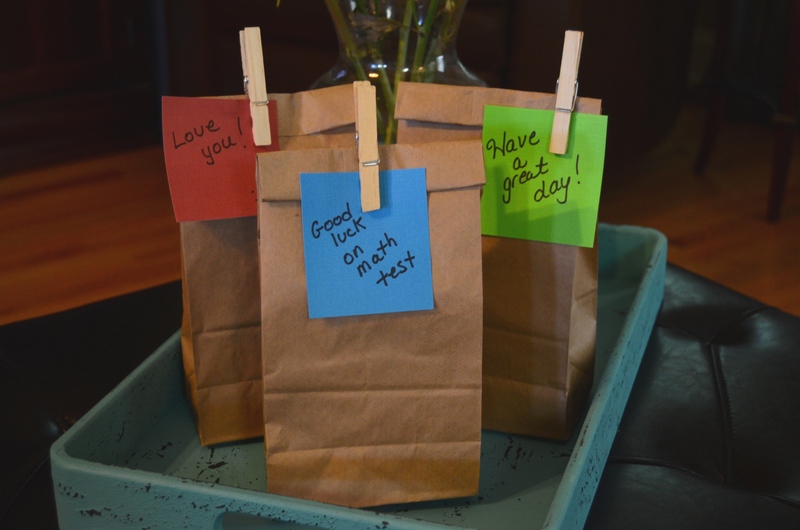 Attach notes to brown bag lunches. 13. Write the days of the week on the clothespins. Use to pin up chores for each day. 15. Make a matching game for preschoolers. 16. Make an animal opening his mouth. 17. Place magnet on back. Clip important papers to it on the refrigerator. 19. Cut out animals from magazines or draw animals. Cut off legs. Use clothespins for legs allowing the animals to stand up. 20. Organize stacks of papers: to be read, to be signed, discuss. What are some things you do with clothespins?